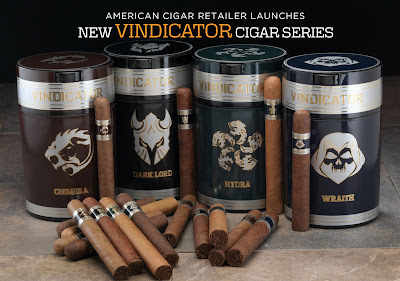 Easton, PA -- Famous Smoke Shop, the largest American-owned distributor of discounted premium cigars online, has announced the release of the all-new Vindicator cigar lineup. 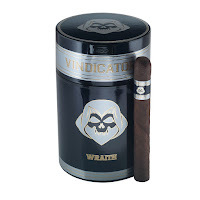 This new premium cigar is debuting exclusively at Famous Smoke Shop, and is their latest collaboration with Altadis U.S.A. 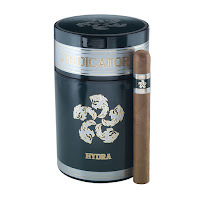 These new and highly anticipated new line is produced at Altadis’ Flor de Copan factory in Honduras, a landmark in the cigarmaking industry that produces several H. Upmann, Romeo, and Saint Luis Rey cigars. Famous is taking an ethereal turn with the blends, naming them Dark Lord, Chimera, Hydra, and Wraith. Each cigar is features a three-nation blend of rich Nicaraguan, Honduran, and Mexican long fillers, with a spicy Criollo 98 vintage binder. 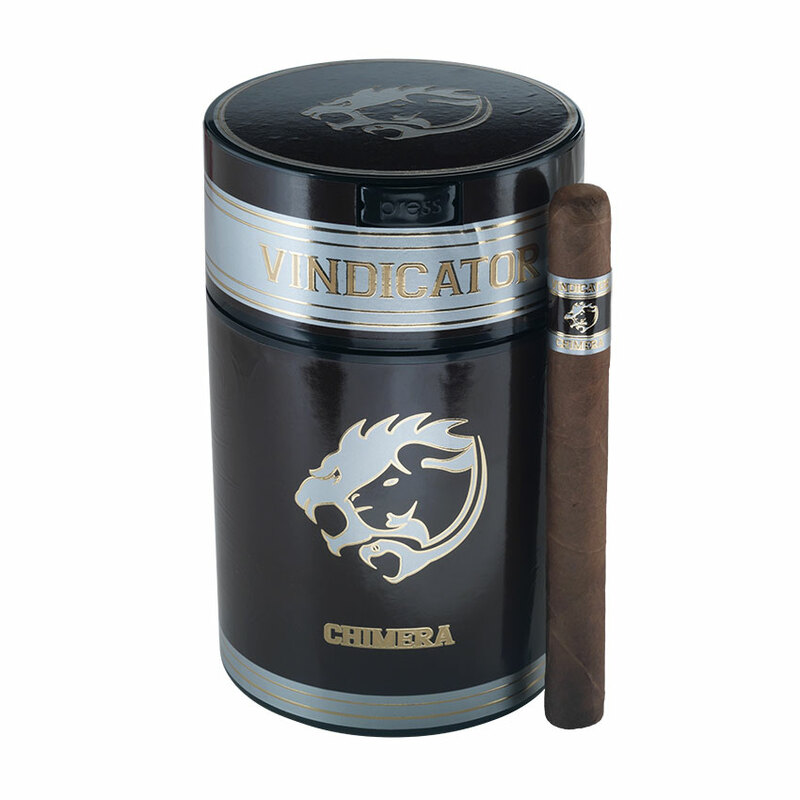 And while each blend smokes medium in body and strength, there’s no limit on the variety of flavors from the various wrapper tobaccos chosen to star in this cast: Chimera, named after the multi-headed creature from Greek mythology, features a dark and sweet natural Mexican Sumatra wrapper; Hercules’ nemesis, Hydra, is the name that graces the label of the version sporting a creamy Ecuadorian Connecticut wrapper. Dark Lord brings sweet and complex flavors to the lineup with a medium bodied vintage Habano 2000 wrapper, while Wraith rounds out the pack by adding ghostly sweetness and a bold shot of pepper via its San Andreas Morron wrapper. Designed to be an affordable addition to a cigar smoker’s lineup, each of these premiums are packaged in Famous Smoke’s exclusive vacuum-seal humidor jars – an eco-friendly packaging choice that is easy to maintain, keeps cigars fresh, are reusable, and make traveling with cigars much simpler. 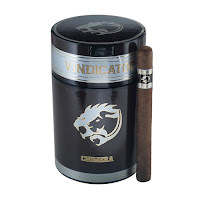 The Vindicator Series is available in three vitolas, Robusto, Toro, and Churchill – and offered in 20-count humidor jars, singles and five-packs.